15 years ago my Vietnamese friend invited me to her home, and this was the first time I had ever tasted the classic Lemongrass Chicken. It was unique, but the aroma of the lemongrass was irresistible and I&apos;ve been hooked on it ever since. All I can remember was finishing my bowl in super-record time - this is why I&apos;ve created it for you and in a few steps with my Feed 4 Meal Kit you can be doing the same! After getting the chance to review the Pad Thai in Sachie&apos;s range of products I was super excited to get to try our her Lemongrass Chicken. I love this range purely for the fact I can cook a decent healthy meal nice and quick, with minimal prep and ingredients as its all in the box labelled and measured out (minus the fresh ingredients such as chicken and salad etc). As a busy working Mum of two under 5&apos;s it is important for me to be able to throw together a healthy meal with minimal amount of effort and time and these Sachie&apos;s meals help me to do exactly that. The instructions on the back are very clear and easy to follow that anyone regardless of how well you can cook would be able to make this dish. I followed the instructions and prepped the rice and chicken. While I had the chicken marinating my house started to smell amazing. I could really get the lemon grass smell and was hoping that once cooked this wouldn&apos;t over power the dish as lemon grass can sometimes make or break a dish if there is too much. I served the chicken on top of the rice and decided to put the dipping sauce next to the chicken and I was quite glad I did. I found that the dipping sauce was really sweet and quite overpowering. I much preferred the chicken with the side salad and rice so opted to get rid of the sauce. All in all this was a quick and nutritious meal that was easy to make and tasted amazing. Would I buy it again, yes I definitely would. I found that this meal feed myself, plus both my children and I had leftovers for myself for the next day. 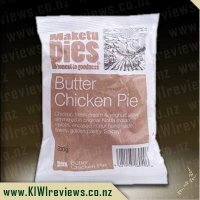 Another great product thanks Sachie&apos;s kitchen. Working long hours and finishing late every night I find it hard sometimes to get motivated to cook and find myself cooking the same few quick and easy recipes over and over again. Discovering Sachie&apos;s kitchen meal kits have become a life changer for me. I can now get home late and within half an hour have a tasty, fresh dish on the table. The lemongrass chicken is the first in the range I have tried but have since tried some of the other flavours. I love the ease of the kit, everything you need apart from a couple of fresh ingredients is in the box ready to go. The instructions on the back are very clear and easy to follow. I even had the rice work prefect for the first time ever simply by following the instructions on the box. Cooking the chicken my house was instantly filled with a lovely aroma and I just couldn&apos;t wait to be able to get stuck in. Once it was all cooked I dished it up as shown on the packet with the dipping sauce on the side. The first bite I tried just the chicken without dipping it and loved the flavour, it was slightly sweet but very tasty. The lemongrass was the prominent flavour but was not over powering it was well balanced with all the other ingredients. The next bite I tried the dipping sauce but found it way too sweet and over powering so chose to eat the rest without the sauce. My husband however has a real sweet tooth and loved the dipping sauce. I did find it a little disappointing there wasn&apos;t any sauce for the rice and it was very plain so I added a little soya sauce to it. I would recommend this kit to anyone who needs a quick flavoursome meal to whip together at the end of a busy day. It creates the type of meal which tastes and looks like a lot of time and effort has gone into it. I have now made up this dish a couple of times, the second time I threw the chicken in the marinade before leaving for work in the morning so it was ready to go. After trying one of the other Sachie&apos;s Kitchen meal kits and being really pleased with the results I was excited to give this one a try. 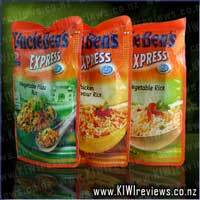 They certainly make dinner quick and easy and you are able to have a good result with very little effort. As with the other meal box upon opening the kit I found a number of little bags that were very clearly labelled. I was a little disappointed with this kit though as there were only four little bags. One of rice, the lemongrass marinade, the dipping sauce and the deep fried shallots. 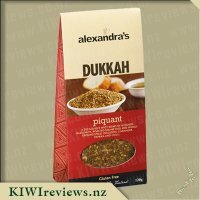 I did think that I could probably buy similar ingredients for much less than the $10 as rice is very cheap (rather than the noodles that were in the last kit) and I&apos;m sure you can find other dipping sauces. Despite this I was still excited to give it a go. The boxes are very clear with their instructions and make it very easy to follow. There are five steps on the back, although for some people it may work if these were split into a few more to break up each step, but I guess they were trying to make it look like an easy to prepare meal in just five steps! I was going to time how long it took, but our online groceries were delivered in the middle and I forgot to check what time I stopped preparing dinner and when I started again after unpacking the groceries. I would assume it didn&apos;t take any longer than the 30 minutes stated and I liked that it got you to get the chicken marinating and then mentioned that while it was sitting for ten minutes it was a good time to start the rice. They really do help you to be efficient with your time while cooking this meal. Me and rice are not the best of friends, and the rice in this meal was certainly no different! I followed the instructions to a T and still I had to add extra water in twice as it had all gone and the rice was starting to cook to the bottom of the pan. I definitely turned the heat down as soon as it told me to so not really sure what I could have done to make it better. My rice did cook in the 15 minutes plus 5 minutes sitting time, but as I had added a little too much water the second time it was a little sticky. Next time I think I would stick to my boil in bag rice that I haven&apos;t managed to stuff up yet! I had no cucumber or lettuce at my house, but decided just to serve it with steamed veges. As it didn&apos;t have a sauce I decided it didn&apos;t really matter what it was served with and didn&apos;t want to go and spend extra money on vegetables when I had others that needed to be used. This turned out perfectly fine and I really enjoyed the whole meal. I had never tried lemongrass before so I cannot compare it to an authentic lemongrass meal, but I do know that this was quite enjoyable. The chicken marinade had a slightly sweet, very tasty coating to it that I really liked. My only issue was it wasn&apos;t a sauce so the rice stayed plain whereas I would have liked a sauce to put on. I did try some of the chicken in the dipping sauce and while it was nice, I preferred the taste of the chicken without it. The dipping sauce had quite a tang to it and added a bit more interest to the meal and I can see why others would enjoy it. I could have given the shallots a miss as I didn&apos;t enjoy the texture nor the flavour of them. While I did enjoy the meal, I don&apos;t think it is one I would purchase again at the price of $9.99. I definitely preferred the other kit and would purchase that one again, but as for this one I could find something similar to this in a supermarket for a much lower cost. 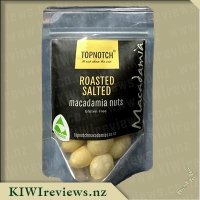 Opening up the KIWIreviews box is a bit like Christmas in this house - with the kids and me all clambering to see what goodies we get to try this time! 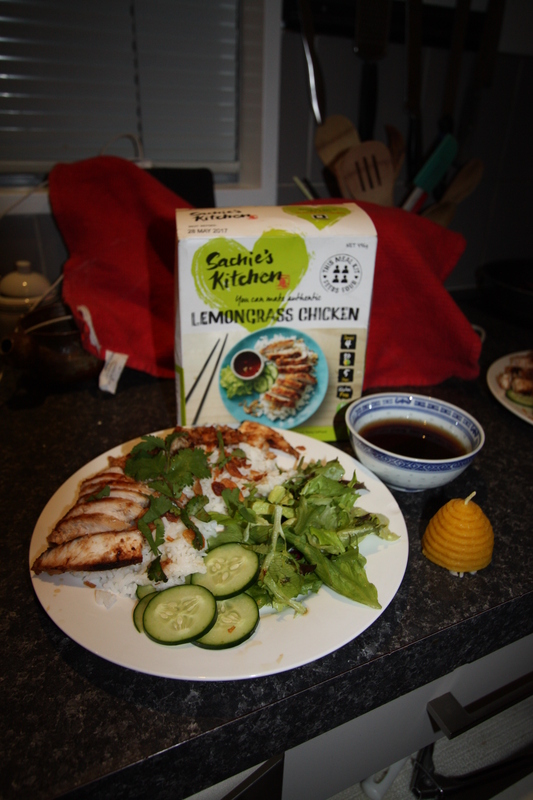 I was delighted to receive not one, but two meal kits from Sachie&apos;s kitchen - and this one, the lemongrass sounded amazing. I have had lemongrass chicken previously, so was keen to see if it was like I remembered. Reading the box was great - it is simple to see what is needed and what is included, as well as an estimated "time to cook" - always a plus in a busy household with three children, working parents, after school activities, and it being close to the end of another school term! I do not enjoy cooking much (I much prefer eating... I mean baking) but I have to admit I was excited to try this kit. I had purchased over the weekend the extra ingredients, but substituted the lebanese cucumber for normal that we already had, and fancy lettuce for lettuce leaves. I also left off the coriander, as to be honest, it was just too pricey! Next time I would source a little from a friends garden instead! I also marinated the chicken for a lot longer than suggested - because, in honesty - I got distracted!! The box itself is lovely - the pictures show what you are likely to create, it is set out well, with the instructions in an easy to follow manner, it has allergen warnings and nutritional info there too. I like that each different kit is easy to distinguish by colour. Opening it up, I was honestly a little disappointed. There is not as much to this kit as others, so for one, the packaging could have been smaller, to not have wasted space. I was a little worried that it may not even give a decent amount for the four people it was saying it would feed. Non the less, I proceeded to start the meal, with high hopes, based on the previous kit I had tried. 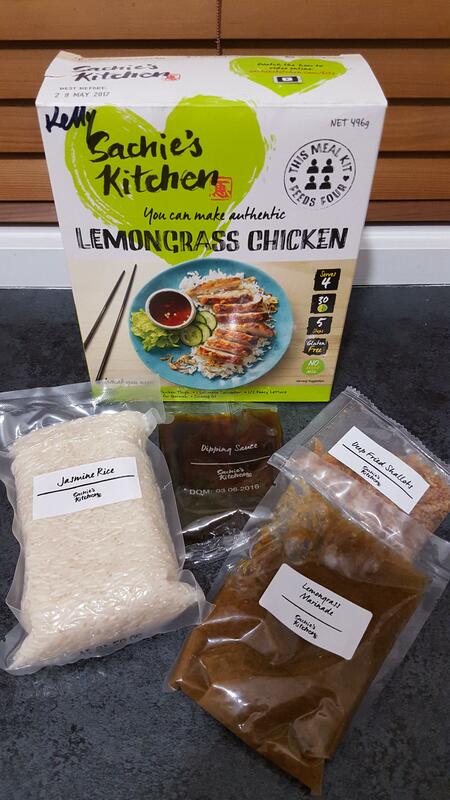 Like the other kit - the lemongrass is true to its word of a 30 minute time to create - excellent for hungry tummies. Plating it, oh my goodness - I was salivating as the flavours surrounded me - and I can honestly say, it was a delicious as it smelled. The kids loved every bit of it too - asking to lick their plates and for more of the chicken and even the "crunchy bits" ! Serving size wise - I would not want to be feeding four adult males with appetites, but we were able to stretch it to two adults and three children (8, 5.5 and 4 years), so it does provide enough for four. Honestly - this kit was lovely - in terms of price - I think it does need more. I was happy with the delicious end product, absolutely, but, would hesitate and probably purchase one of the other options before this one again. In saying that - bump up the amounts Sachie&apos;s Kitchen - have more rice, and more of the marinade and sauce and shallots and this would be absolutely worth the price. I do love that Sachie&apos;s Kitchen is making it easy and almost fail proof to create different, flavoursome and QUICK meals. Lemongrass is a herb/flavour that I have recently just discovered and for this reason I was very interested to try out this product! With two children 3 and under we are also extremely busy during meal times so anything that takes a load off a bit/makes cooking easier after a busy day at work is a real treat for myself. It also means we are eating healthier instead of reaching for takeaways on extra busy days/evenings. For this reason alone I would buy this meal kit again, add to it the fact that it was utterly delicious and so full of flavour and its safe to say these are going to be regularly on our shopping list! I love the packaging of Sachie&apos;s Kitchen meal kits and love that all the information that you need is there, easy to read and easy to follow. I followed the steps exactly and also timed myself with the results being that in exactly 40minutes our meal was ready - that&apos;s the same amount of time it takes me to ring the takeaway shop and go to pick up some naughty not good for us treat. This is a total win in my books! 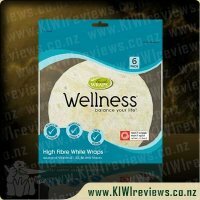 Considering it contains everything you need and I&apos;ve yet to see any other product like it on the market I am more than happy to pay the price of $9.99 charged in supermarkets. When I was coating the chicken in the marinade I did get a little anxious about the flavouring of this product and wondered what I had got myself in to... 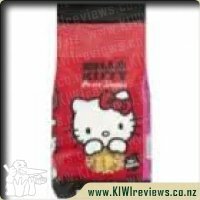 It smelled quite strongly of lemongrass and although it can be a lovely smell I got worried that this product was going to taste horrible, be to strong and perhaps even be spicy (my mind was suddenly racing here). It is for this reason that once the chicken was done soaking up the marinade I cooked just one piece of chicken and gave it a quick little try to settle my nerves haha! I was then super excited for our meal ahead. 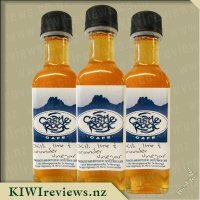 Its really quite hard to describe the taste of this marinade but I can assure you that it is quite simply the best flavour combination I&apos;ve tried in a long time. Lemongrass rings through and is well balanced, added in with the dipping sauce and my mouth was bursting with flavours. Even my husband was raving about it and we talked about the fact that we wished you could just buy a jar full of the marinade to use over and over again!!!! If you like lemongrass then you really do need to try this meal! It is full of flavour and adds something really special to your dinner meal, you wont be disappointed! I love the easy to put together packs that food companies have developed over the years for the benefit of their customers, especially when they are quick, easy to follow and full of flavour. 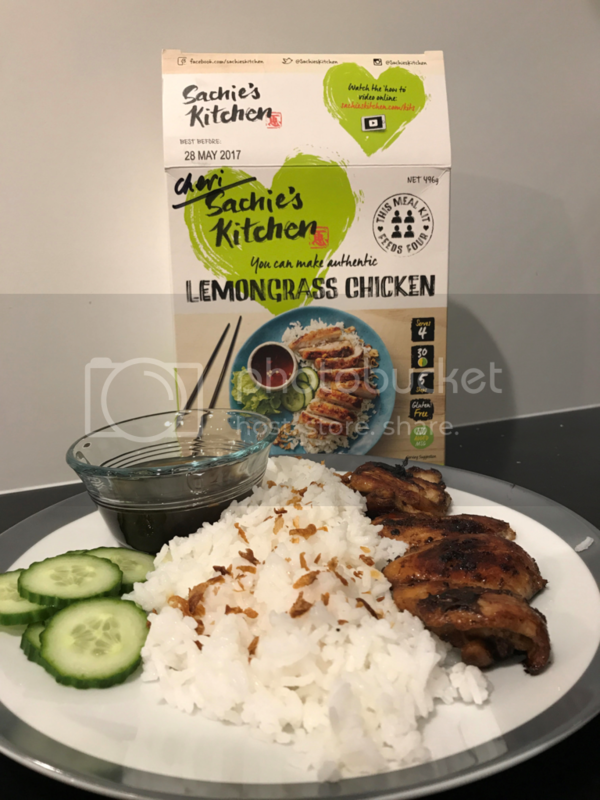 This Lemon Grass chicken pack that Sachie&apos;s Kitchen have created is a great idea for people who enjoy the authentic taste of Asia in their own home. When I received the Lemon Grass meal kit, I was impressed by the artwork on the box; the meal looked really appealing and gave me a lovely serving suggestion. I was also impressed that the meal was Gluten Free, would be ready in 30 minutes, with no added MSG and it would serve 4. I checked the list of what I would need and as luck would have it, I had the cucumber, chicken and lettuce already in the house; so that was tea sorted for the evening. The instructions were easy to follow and when I opened up the lemon grass marinade to add to the chicken, I inhaled the scent of the marinade and I must say it was divine, really fragrant and nothing quite like I&apos;ve ever smelt before, so I couldn&apos;t quite wait to try it! When I cooked the chicken the smell was again just lovely. I cooked up the vacuum packed rice and served the chicken on top and pretty much arranged my meal the same as the box! 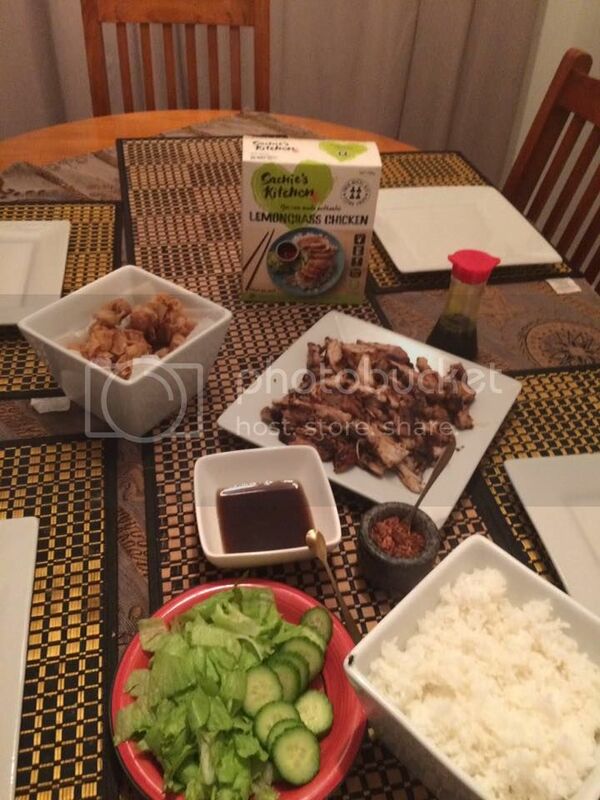 My family was duly impressed with the presentation and we all tucked in, the flavours were really good and all of us enjoyed the chicken very much, with even my youngest daughter (11yrs) who can be very fussy eating the lot. We soon realised though that the dipping sauce had to be used sparingly, it was very sweet and overpowering if used too much. 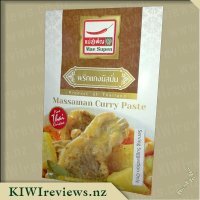 Overall a good product which I would recommend to people who want to experience authentic Asian cuisine in their own home without the fuss of following a long winded recipe. After coming home from work on Friday after a massive week I was excited to cook this meal as a nice different treat rather than just a quick and easy meal. I had all the ingredients apart from the cucumber and I found it was you without it still. I butterflied and marinated the chicken with the lemongrass flavour and let it rest. Cooked the rice and started on the chicken after leaving it to sit for ten minutes. I loved the smell of the flavours as the chicken was cooking. I prepared the plates while it was cooking and tried the dipping sauce with my finger which I thought was tangy but tasty. 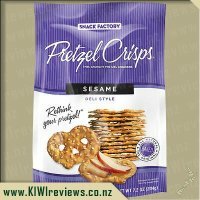 The dipping sauce was hard to wrap my tastes buds around as to pin point the flavours exactly but I strangely liked it. I dished it up and served dinner to my 8 year old, I was half expecting him to screw his nose up, but he said it smelled good and was willing it try it. He was hooked on the dipping sauce. He loves vinegar and he said it had that same kind of tang. I really enjoyed my meal and I feel had a lot of yum flavours and was filling. I did not eat all of mine as I was to full and by the end of the meal I could not handle any more dipping sauce, it got to much for me. I found this meal quick and easy to prepare and cook and serve up. I served it up the same as the box picture and it looked great. For the price you pay for the box I guess it is good value as it Is a quick and easy and yummy meal. Something different then what I would normally prepare for dinner and it is always good to try new things. Monday is crazy hectic for us - with work and after school activities there are never enough hours in the day. I usually throw something in the slow cooker and cross my fingers and hope for the best. But, since I received this meal pack and it stated that it only takes 30 minutes I thought I would put it to the test and see what happens. I brought chicken from the supermarket on the way home and left the box on the bench for my husband to prepare as he arrives home some twenty minutes before I do. I walked in the door to find the chicken marinating in the fridge, rice in the rice cooker and him relaxing on his tablet - pure bliss. It really is that simple! He fried the chicken up while I did the girls homework and dinner was basically ready. The box suggested a cucumber and fancy lettuce to accompany the meal but as majority of the family does not like cucumbers I brought a garden salad from the supermarket which had red onions, tomatoes, lettuce and a marinade which I felt fit the meal perfectly. He dished the meal up and dinner was ready and on the table within about half an hour of me walking in the door (could of been ready sooner but homework in slow going after gymnastics/martial arts). I was rather concerned about how the girls would enjoy the meal but they both ate it with no worries and they both agreed they would happily have it again. Although, the dipping sauce was not a huge hit for any of us. My husband took a while to work out what the key flavour was and he worked it out that it had a very strong vinegary taste, personally I do not think it worked well with the chicken. 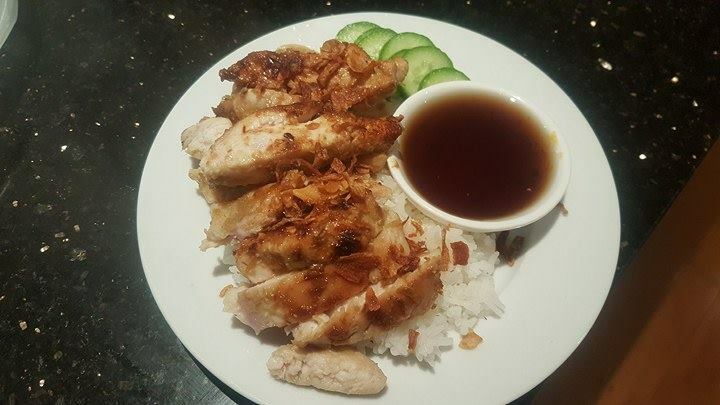 We loved the rice and chicken together along with the salad and the Deep Fried Shallots which were a huge hit but the sauce just missed the mark for us. Where as I would happily have this again (without the dipping sauce) I do find it is rather pricey when you have to add in a salad and chicken on top of the box. We always have Jasmine Rice in the house and I would rather just buy the Lemongrass Marinade with maybe the Deep Fried Shallots together instead. The idea is brilliant but just not very feasible for us. So I put my hand up for this product without reading the box properly. Just judging by the size and weight of the box, I figured it would need minimal additional ingredients. Reading the box properly, I realised I still needed to purchase 600g of boneless chicken thighs, 1 lebanese cucumber, 1/2 a fancy lettuce, and fresh coriander. Heading to the supermarket to purchase these, I could only get the thighs in 400g packs, and the cucumber in 5-packs, and the fancy lettuce in a salad pack (I clearly have a below satisfactory supermarket), which ended up costing me just short of $30. So combining this with the $9.99 Sachie&apos;s pack, the cost for the single meal to feed four comes out to $40. Looking back, I probably wouldn&apos;t have bothered with the fancy lettuce, coriander, or lebanese cucumber. Nice for garnishes, but you can substitute in whatever you have in the fridge; telegraph cucumbers and iceberg lettuce finely chopped should be fine. The idea that the meal only takes 5 steps is a bit laughable. 1) prepare chicken, 2) cook rice, 3) heat pan, 4) cook chicken, 5) serve. The reality is that it is five sections, not five steps. For the meal to only take 30 minutes, you need to have properly read through the directions beforehand, as there are a number of steps that need to be followed. As it was my first time making the meal, and I read as I was making it, it took closer to 45 minutes (the chicken was rather thick so it took much longer than estimated. The in-pack ingredients come in sealed and vacuum packed bags. No easy tear tabs, but a knife can cut through easy enough. The directions (although more complicated than advertised on the front) were easy to follow, and my first attempt at cooking rice on the stove was a success! Finally completing the meal and plating up, I realised that I have never tried lemongrass chicken before. The aroma was quite strong, with the lemongrass and garlic really coming through. I was unsure how I was meant to eat it , having both rice and a dipping sauce, so I ended up pouring sauce over both the meat and rice. The flavour was incredibly tangy, dominated by the lemongrass, which easily invigorated the bland flavour of the rice. While I enjoyed the meal, I can&apos;t help but wonder why I would buy this product. Looking at the ingredients, I only needed crushed garlic, lemongrass, brown sugar, and fish sauce to make the marinade. And only need additional white vinegar and chilli for the dipping sauce. It&apos;s the same number of ingredients I needed to purchase in addition to the kit, so I&apos;m already most of the way to cooking the entire thing on my own. If you had a scale from 0 to 10 (with 0 being the recipe, and 10 being buying the meal at the takeaways) This box set would probably rank as a 2; the marinade and dipping sauce are already prepared, but that leaves so much of the meal to still be done. I am a huge fan of Asian cuisine and traditional Asian flavours are always very appetizing. Lately having started a gluten free lifestyle due to intolerance and ill health I have turned to cooking meals from scratch so using recipes and whole ingredients. I must admit there are times I miss the open a jar and bung it in style cooking because lets face it being a busy mum some days are just absolutely exhausting and coming home and cooking a meal from scratch is the last thing anyone feels like. I had chicken thighs ready to go so today I got out Sachie&apos;s Lemongrass Chicken meal kit and set to work. The recipe and instructions were so easy to follow although I was not really sure what butterfly the chicken meant. I took my boneless chicken thighs and gave them a bit of a bash as I thought this is what it may of meant to make the meat even for cooking. So easy to just pour over the marinade and set aside while I got to work on the rice. Now I am pretty good at cooking rice on the stove but I tend to stick to basmati rice as I have nailed the cooking technique so it was great to follow the instructions for the jazmine rice. I do have a rice cooker but don&apos;t often use it as I find the rice seems to stick on the bottom of the cooking pot, so I did follow the stove top ingredients, I rinsed the rice as I usually do I thought massaging it was something new but hey I went with it!! Was very clear instructions as I could definitely tell when all the white starch had gone as the water remained clear on final rinse so I knew I was good to go!! Cooking method is exactly the same as I would normally do for basmati rice so I felt pretty confident. All in all my rice turned out good no stodgy wet rice just nicely cooked fluffy rice. Cooking the chicken was straightforward too I fired for slightly longer than suggested as my chicken seemed to take a bit longer to cook through to the middle as they were quite large thigh pieces. I found I must of had the pan a little high as the extra cooking meant my chicken was very browned on the outside and not cooked through so I had to reduce the heat to cook it through but the chicken still turned out really nice and tender and definitely not overcooked or dry. This is more of a amateur cook issue rather than a meal kit instruction as I started with the pan on too high a heat for sure. I have never tried lemongrass chicken before but have tried some Thai dishes containing lemongrass and loved them so was very excited to try this. I think some members of the family were expecting more of a lemon taste but lemongrass chicken in my opinion was not really a lemon flavour. The aroma when cooking was very appetizing lots of comments from the family regarding an estimated time of serving as their mouths were watering waiting. I followed serving instructions with the lebanese cucumber, lettuce, and accompanying fried shallots and dipping sauce and as a complete meal it was absolutely stunning. I am not sure what was in the dipping sauce but I could taste sesame, and vinegar for sure I could of kept the whole bowl for myself as it was just so moreish and definitely went well with the rest of the ingredients. Everyone commented they would eat it again so we will be on the look out for it in the supermarkets a big A+ from our family. 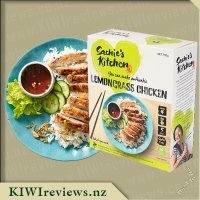 Thanks Sachie&apos;s Kitchen for giving me the chance to review such an amazing meal kit and experience cooking a traditional lemongrass chicken myself I think I am firmly hooked on this dish!! To be honest when I requested this product I did so based on my family liking lemon chicken, I think I had tried Lemongrass Chicken once a long time ago, however I couldn&apos;t quite remember how it tasted, but decided that it sounded like it could be similar to lemon chicken, I was very interested to find out how it would compare and what the taste would be like. Preparing the meal was easy. I used boneless and skinless chicken breasts for the chicken (the box suggests to use boneless chicken thighs however I am not a fan of chicken thighs so opted to use an alternative). I simply placed the chicken into a bowl and poured over the Lemongrass marinade and mixed it in to coat all of the chicken evenly, this was then covered in glad wrap and placed in the fridge so that the flavours could develop while I prepared the rest of the meal. The rice consisted of Jasmine rice, and I was very wary while I cooked this as it seems I can NEVER cook rice right, it&apos;s always either overcooked or undercooked! For this reason I followed the instructions to the letter and was impressed when at the end of the cooking process I was left with a potful of fluffy, perfectly cooked rice! 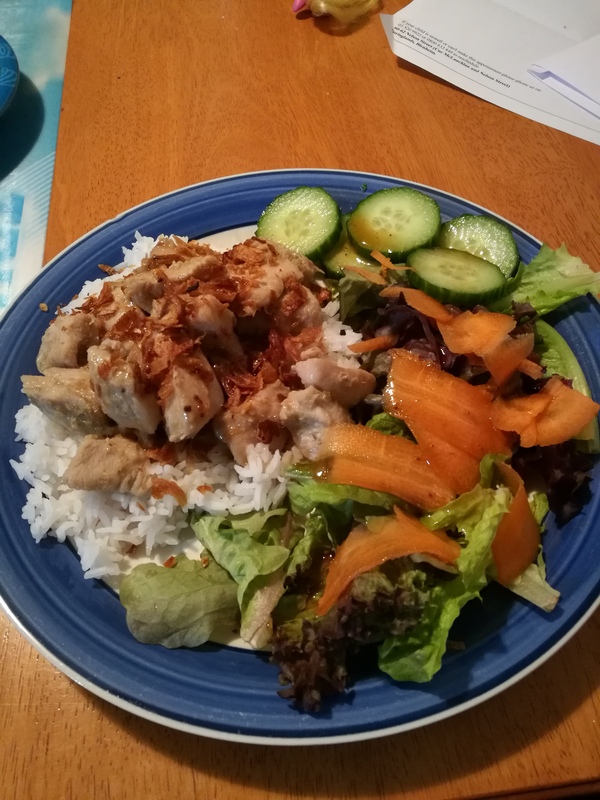 Next up I cooked the chicken and then dished it up on plates along with the Jasmine rice, and salad which consisted of cucumber and lettuce (to Miss 4&apos;s delight), the dried fried shallots were added over top and the dipping sauce in small dishes alongside the meal. Super quick and easy to prepare this meal proved to be! As far as taste goes this was delicious and a hit with the whole family. It wasn&apos;t really similar tasting to that of lemon chicken but we all loved it! The chicken with the lemongrass marinade had a lovely subtle citrus flavour, and my partner and I both felt that it was a nice refreshing meal that seemed to have tastes of mint, lemon, lime and ginger throughout. THe flavours really seemed to complement each other and it was nice with the light salad and soft rice. The dipping sauce however wasn&apos;t the biggest hit in our house as we felt it was a little to strong for our liking and took over from the taste of the chicken. No big deal however, as this is a side sauce so not needed if not up to your liking. 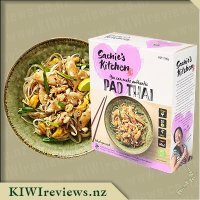 I can&apos;t wait to see what other products from Sachie&apos;s Kitchen I can find at my local supermarket as both of the meal kit&apos;s I have tried so far have been amazing and very authentic tasting, great products at a great price. taste like something you would get at your local takeaways, only cheaper. 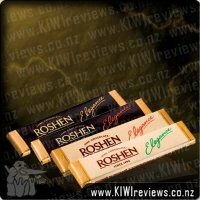 When I was given this pack to review, I was sceptical about what the quality might be like. 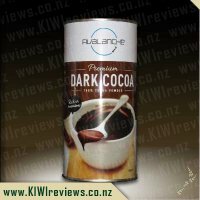 I recently reviewed another product in the same range which was outstanding, so I thought it was unlikely that this product would measure up to the same high standard. I was very happy to be proved wrong! It was just as nice, and the three people who shared it with me were 100% behind me in that judgement. I think the first thing that my friends commented on was the price. I costed the ingredients (as I always do) and it worked out at around $21 in total for four people. For a meal that is certainly equal to one you would find in an Asian restaurant, that is exceptional value - and the servings are generous; one of our group could not finish hers! Our friends are pensioners, and money is tight, so this is a key factor in what they buy. We looked at the ingredients, both raw and cooked, and decided it would be safe to freeze the cooked rice and meat mixture if they were preparing it just for the two of them and needed only half for their meal. Marinating the chicken was easy - it sat in its bowl and soaked up the flavours while I cooked the rice. I appreciated the warning in the instructions about not cooking the rice on too high a heat or for too long - I followed the directions to the letter (something I do not always do!) and the result was exactly right - fluffy rice with just the right texture. The biggest problem I had was cooking the chicken in a pan - 600gm would not fit flat in our friends&apos; smallish frying pan so I had to do it in two instalments! The first reaction was to the flavour of the coriander. Adding this was a stroke of genius; I had feared I might not be able to source any of the fresh herb and be forced to substitute parsley, but luckily the local supermarket had plenty. I am so glad I did manage to get it as it was the perfect foil to the richness of the lemongrass marinade - piquant and highly aromatic but in the nicest sort of way. The salad, too, went down well - there were no Lebanese cucumbers available so I substituted a small cocktail cucumber which was probably just as nice. Everyone commented on the fried shallot garnish - it added the finishing touch to the dish - and the way the crispness of the salad complemented the subtle flavours of the chicken. There was one mishap when my friend&apos;s husband thought the dipping sauce was meant to be tipped over the rice and carefully helped himself to two tablespoons of it, then commented that the dish was "nice but it&apos;s a pity about the vinegar aftertaste!" Once he realised that the dipping sauce was not intended to be used in that way and had tasted some of the meal from the edge of his plate where the sauce had not reached, he agreed that he had overreacted! At the conclusion of dinner, my friends asked if there were any other varieties available in this range as they would really like to try them. They felt that this dish had an authentic Thai flavour to it, and would like to explore further. I told them to check in their local supermarket. Meanwhile, I am going to buy another pack myself as I am cooking for vegetarian friends in a few days&apos; time and would like to see how it would pan out using tofu in place of the chicken.